You've heard how beneficial probiotics are for gut health; new research presented in The Probiotic Promise reveals that they can do much more! Probiotics can also improve a host of other conditions, from allergies to arthritis, depression to obesity—they have even been shown to inhibit cancer and antibiotic-resistant superbugs. Now Dr. Michelle Schoffro Cook shares this groundbreaking research, demonstrating the link between gastrointestinal health and overall well-being. She offers concrete ways for you to use this extraordinary information, explaining how to use probiotics to address a range of medical issues. 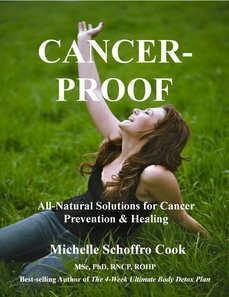 "Michelle's books are my health bibles. 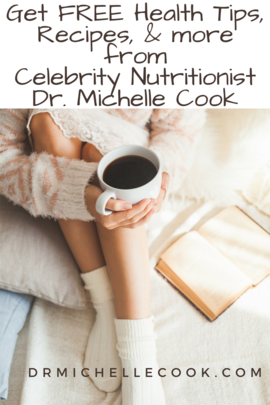 If you want glowing, vibrant health, let brilliant Michelle be your guide." 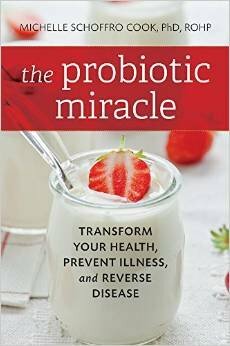 "Michelle Schoffro Cook takes us on a whirlwind tour of the microbiotic subculture of our bodies and in the process reveals the astonishing number of ways good bacteria can help us live longer, stronger, and happier lives. 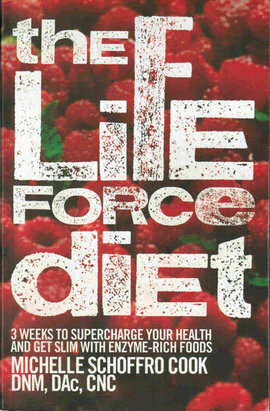 You'll walk away with all the tools you need to take your level of well-being from so-so to super." "Dr. Cook's work is unique, empowering, informative, and guides us toward a healthy future. 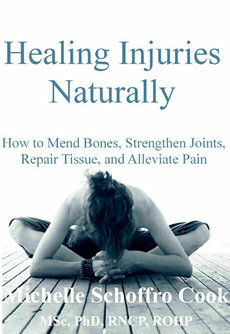 I highly recommend her work and books." This research-driven program shows readers that losing weight quickly and permanently is a matter of correcting their body chemistry and success is just a few 60-second steps away. 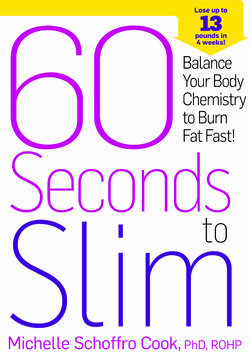 Many studies have examined the acid-alkaline relationship between the foods we eat and how our bodies store fat, but Dr. Schoffro Cook offers the first plan to alkalize the body with simple, surprising, and flexible 60-second weight loss tricks. 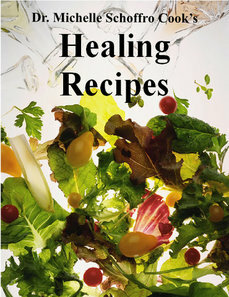 First, readers learn how to "kick the acid" by eating delicious meals made with whole foods that are balanced to help readers flush fat and revitalize their entire bodies. To keep the pounds peeling off, each week readers add a few new habits to their regimens. Every tip brings readers closer to balancing their pH and boosting their metabolism, so they can pick and choose the tips that fit best into their busy lifestyles for flattering results that will last. The plan features 50 mouth-watering, alkalizing recipes such as Coconut Waffles, Grilled Chicken with Citrus Salsa, and succulent Strawberry-Rhubarb Crisp. Leave lethargy behind, shed excess weight, and get clear, glowing skin! Detox regimens can be expensive, lengthy, and difficult to follow--and often don't deliver the results you want. 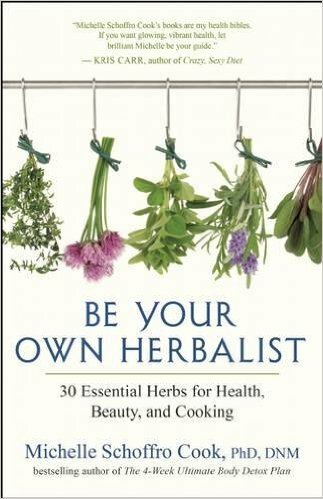 Now, health expert and author Michelle Schoffro Cook offers a fresh approach to purifying your body: spa-style weekends to have you looking and feeling great in just days! These mini-detoxes help you to reset your natural body chemistry and improve organ function for overall health. First, Dr. Cook's quiz helps you pinpoint which areas need attention. You can then choose from six targeted tune-up plans--from the Love Your Liver weekend to the Fat Blast Weekend, you'll be able to address your specific concerns. 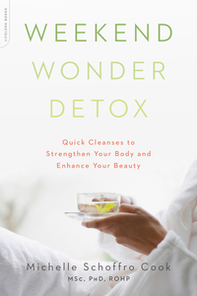 Each Weekend Wonder Detox plan features: meal plans and shopping lists based on delicious, toxin-busting superfoods; easy recipes for hearty salads, protein-rich meals, and detox-promoting beverages; gentle herbal remedies and system-balancing spa treatments; and strategies to establish healthful habits in your everyday life. No matter how busy your schedule or how stressful your life, you'll look forward to your next Weekend Wonder Detox. Try Dr. Cook's new Detox App to discover the best cleanse for you. Learn why Harvey Diamond, best-selling author of Fit for Life, calls The Ultimate p H Solution, "A landmark book that everyone should read. 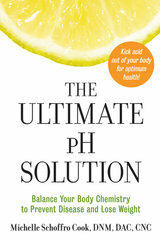 Follow The Ultimate pH Solution and you'll prevent disease and feel better." Excessive acid in your body can cause a host of health problems, but with cutting-edge, medically sound research, this indispensible guide offers an easy-to-follow plan that will help you kick acid and stay healthy. 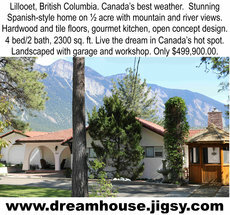 Read what people are saying about The Ultimate pH Solution. 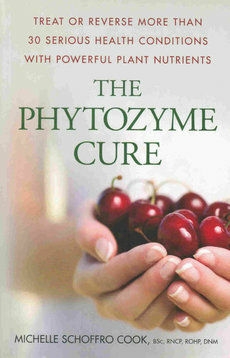 Experience the revolutionary plan to overcome disease and experience vibrant health and energy. Imagine waking up without an ache or pain, cruising through your daily tasks with abundant energy and ending your day with a refreshing night's sleep. Then, imagine waking up to do it all over again. Think it's impossible? This book will make you think again! An accumulation of toxins can leave you feeling sluggish, achy, heavy, and out-of-shape. It can also lead to disease in the form of cancer, arthritis, diabetes, allergies and many other serious illnesses. Consider that breast cancer rates are thirty times higher in the United States than in parts of Africa. More than one-half of the world's cancers occur among people in industrialized countries even though these people comprise only one-fifth of the world's population. The International Agency for Research on Cancer has concluded that eighty percent of all cancer is attributable to environmental influences, including exposure to carcinogenic chemicals. Using this systematic approach, you will cleanse your digestive tract and liver, as well as your lymphatic system, urinary tract, kidneys, gall bladder, respiratory system, skin, and fatty deposits (including cellulite). 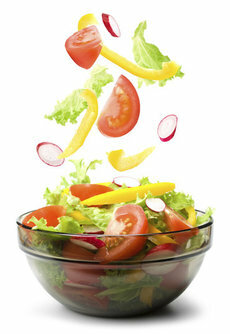 By using this revolutionary plan, you'll also avoid the negative side effects of other cleansing programs. 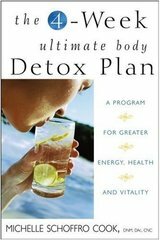 The 4 Week Ultimate Body Detox Plan shows you how to reduce your exposure to the more than 70,000 toxic chemicals dumped into food and the environment and guides you to eliminate them from your body. 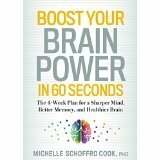 Boost Your Brain Power in 60 Seconds: The 4-Week Plan for a Sharper Mind, Better Memory, and Healthier Brain is scheduled to be released in 2016. Pre-order your copy now!